Do not submit here! This project is permanently closed to submissions (May 2018). We provide the following information as an archive. GFT Press is a philanthropic literary and art press with a very clear-cut vision. Our focus here is not only to share remarkable work with the world but also to benefit charity through doing so. 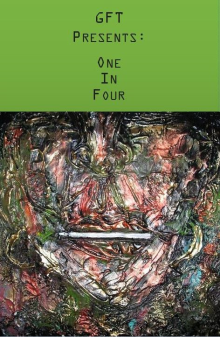 We publish new material online (Ground Fresh Thursday) and in print (GFT Presents: One in Four). GFT Press' altruistic efforts go to support the Anxiety and Depression Association of America, the National Alliance on Mental Illness, and the American Foundation for Suicide Prevention. YEssay Essay Up to 2,000 words. ZNarrative Nonfiction Narrative Nonfiction Up to 2,000 words. Open to all/most Art Media, including: Drawing, Collage, Painting, Photography. AArtwork Artwork Up to 7 pieces.